Joe Fry 29.07.1950 во время второстепенной гонки в Блендфорд-Кемп, в Дорсете, проходя поворот на высокой скорости, потерял управление, разбил машину и погиб. Raymond Sommer 10.09.1950 трасса Кадур, Тулуза, в одной из второстепенных гонок сезона в 500-кубовом классе, как считается, у его Cooper заклинило колесный подшипник, он разбил машину и погиб. 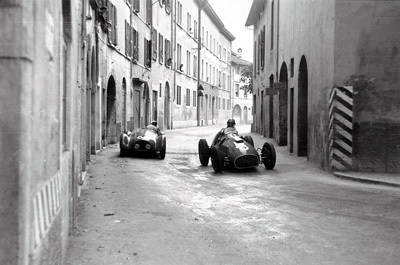 Between 1948 and 1951, the village of Erlen, in Thurgau, Switzerland, not far from the Bodensee, hosted four meetings with races for cars and motorcycles. The motorcycle races started with international status, but the car races would not achieve this distinction until 1950. The initiators were the village head and the local druggist. They had planned to do something for 1949, but the cancellation of some other meeting prompted them to start one year earlier. 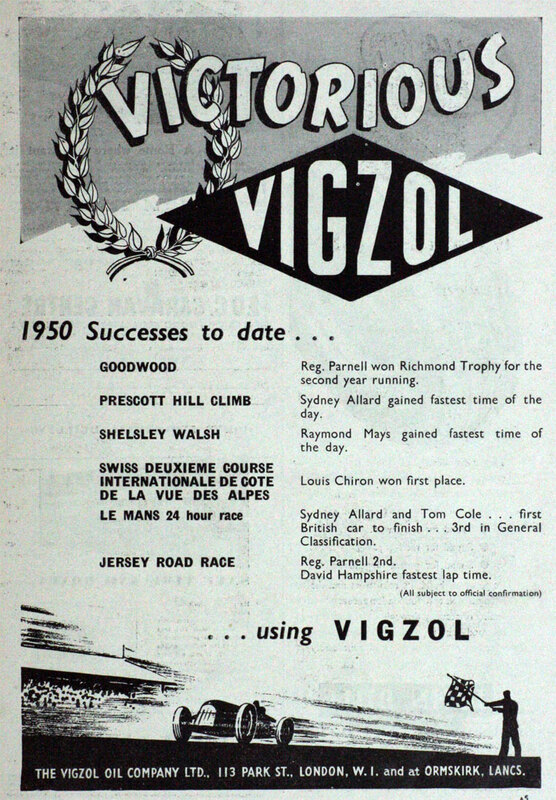 Three motorcycle and three car races were held on August 8th, 1948. The organizing committee invested 5000 SF to prepare a short – less than 3 km-long - triangular circuit with vertices at Erlen Village, Riedt and Erlen Station. Two 45° right-handers and a 90° curve connected the three sides of the triangle each containing an all-out swerve. Start and finish were set on the main straight between Erlen Village and Riedt, which was very narrow at about 7.5 meters of width. The amateurish organization and the atmosphere of a provincial country fete might remind the onlooker of Chimay. 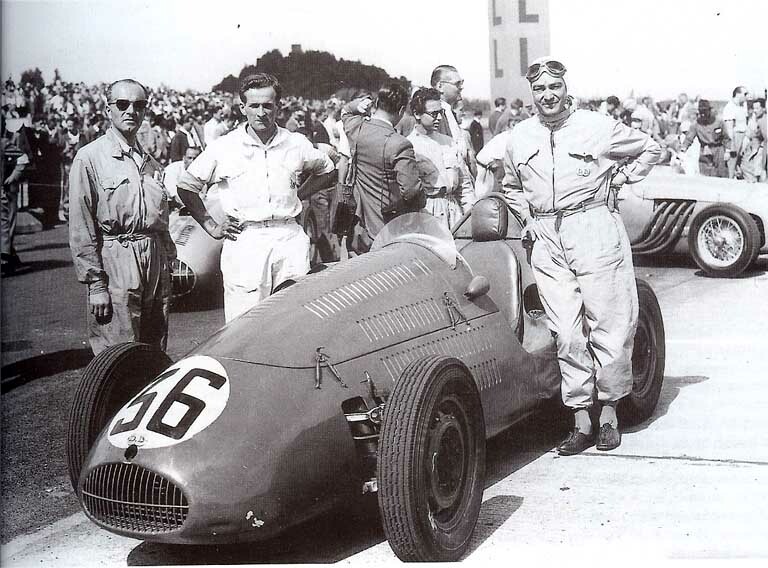 In fact the Erlen meetings also soon became a darling of the international commentators, way above their technical significance, again very much like the Chimay races. All the local craftsmen were involved in preparing the circuit, while the shopkeepers, dealing mainly in food, were keen to see flocks of hungry spectators buying their merchandise. As a consequence, the organizing committee never lost popular support expressed by a kind of “very provincial enthusiasm” as Cimarosti noted rather sarcastically. In fact the whole idea of these meetings looks a bit preposterous today, “ausgefallen” as Cimarosti again puts it. Over fifty years later, the circuit is intact and a stroll around it gives a pleasant sight of the rolling Eastern Swiss countryside. As with many others improvised post WWII tracks one wonders today how it was possible to race on it without shedding the blood of the drivers and of the good Thurgovian spectators alike. Villoresi passed Ulmen on lap 4 and his tream mate Vallone on lap 9, cruising home to an easy victory. Vallone finished second at Gigi’s tail from driver from Dusseldorf Toni Ulmen who drove really well in a rather old Veritas sports car transformed in single-seater. It was called the “Großmutter” (Grandmother in English), and it was the first “official” Veritas car built in 1947/48. 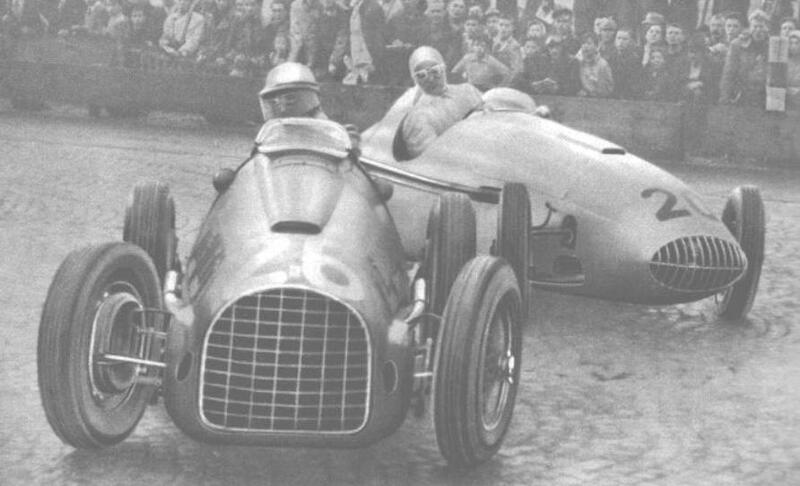 The conversion was made by the Rappold company at Wülfrath and it turned out that it was by far the most competitive German car of the season 1950.